Blunt bangs have been in the trend for so many years now. It never goes out of fashion because of the lovely appearance that it gives. We come across many celebrities, top models, and even our kith and kin sporting the blunt bangs. 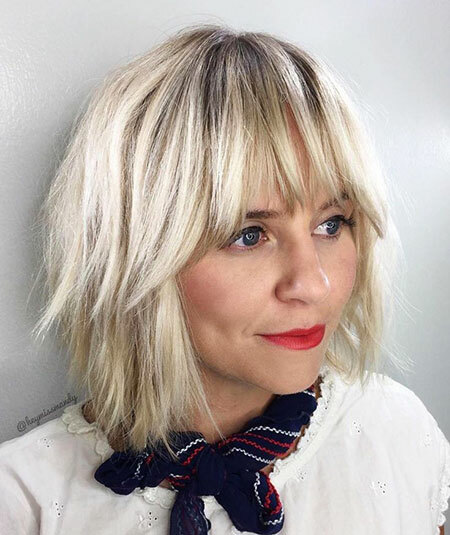 Of late, there has also been a huge surge in lobs and bobs and blunt bangs are helping the hairstyles to have more volume. But beauty doesn’t come without a price. Blunt bangs need proper care and maintenance. If you’re a person who doesn’t want to spend time adjusting your bangs in the mornings, this should be avoided. Blunt bangs also go well with straight, medium density hair.